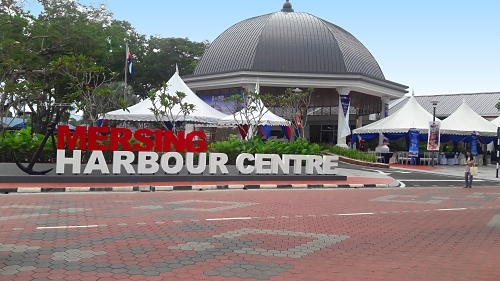 Please note that ever since Mersing Harbour Centre was opened, the ferry ticket collection process has changed. 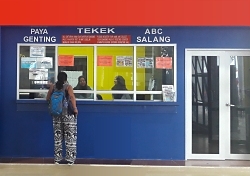 Previously, ferry tickets booked online could be collected at our Tioman Ferry Terminal counter, Counter 1. 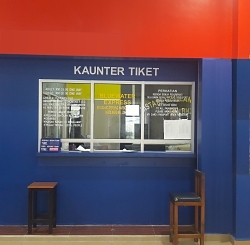 However, as Mersing Harbour Centre now houses our new ferry counter, please note that henceforth, you need to collect your ferry tickets at this new counter, Counter 21, at Mersing Harbour Centre. Once you have collected your ferry tickets from Counter 21, please go to the Bluewater Express counter opposite Counter 21 to have your tickets collated. Upon having your ferry tickets collated, please go to the ferry manifest registration counter, which is located diectly to the right of the Bluewater Express counter. Please have all passengers' passports ready, because each of these will be scanned, so as to ensure all passengers are entered into the passenger manifest. You'll also be handed your ferry boarding passes here. Once your passports have been scanned onto the passenger manifest, you can proceed to the Conservation Fee payment counter and the Tioman Fee payment counter. After the respective fees have been paid, you can head for the boarding gate at the ferry terminal. If you have any questions, by all means call our ferry hotline number, as per our confirmation email. David Lee, our Mersing Harbour Centre operations manager will gladly assist you.